Despite a sharp decline in their population, there are still about 10 billion birds living in North America alone. Birds play an important role in our ecosystem; they pollinate plants, distribute seeds, and eat harmful insects. But birds in the wrong places can cause a nuisance. Too many birds flocking around your community parks and gardens can cause a lot of noise, to say nothing about an unhygienic mess. 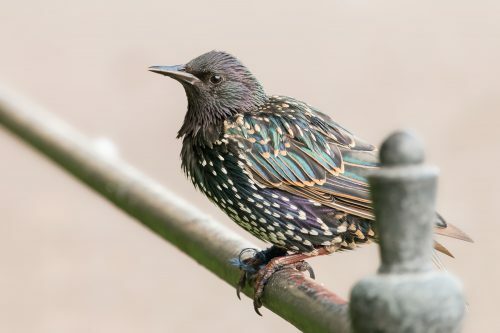 If you’re considering trying a bird deterrent, then read on as we take a look at some of the best (and worst) available. Physical bird deterrents are designed to stop unwanted birds from accessing a specific area. The intent is to stop them landing which encourages them to move to another location. This is usually done through the use of spikes, wires, or nets which will discourage or physically block the bird from landing. This type of deterrent is ideal for flat surfaces such as window ledges and walls. But for an open space like a park or garden, they are a poor choice. Not only is there too much open area to use them effectively, but the spikes and nets can also be a hazard to people using the area. Audible bird deterrents make use of sound to discourage birds from the treated area. They are designed either to mimic the sound of natural predators or emit noises that the birds find uncomfortable to hear. They are intended for use in large open spaces. The trouble with these types of deterrents is that a bird’s hearing is very similar to our own. So a sound that is annoying to a bird will also be very annoying to a human. Some companies offer high-frequency devices, but in order for them to be effective for birds, they are still in a range that is audible to many people. Visual bird deterrents work by frightening birds away from areas where they are unwanted. These deterrents make use of features that trigger fear in the birds. This may be by replicating the features of a predator, or by using shiny or reflective materials. The birds see the deterrent and flee the protected area. Visual deterrents take many forms. They can be as simple as a shiny reflective hanging, or as detailed as a realistic coyote. Some of the most effective visual deterrents are those which mimic birds of prey, as the unwanted birds know that they cannot fly to safety as they would from a land predator. Visual bird deterrents are ideal for use in outdoor areas such as parks and gardens. They are a low-cost and effective solution that can reduce a bird problem without causing any physical harm. Are You Looking for a Safe and Effective Bird Deterrent? If you’re looking for a bird deterrent that is a safe, easy, and effective way to chase away pest birds, then look no further. 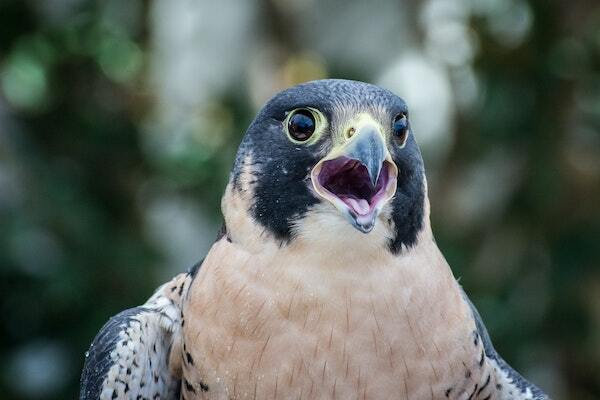 The Falcon FrightKite works by playing on other birds’ natural fear of birds of prey. You can actually witness other birds flying off in terror when the spot the FrightKite soaring high in the sky. And what’s more, the FrightKite is completely self-flying in winds from 2-25 mph. If you’re looking for a proven deterrent that is still bird-friendly, then please don’t hesitate to get in touch. For hotel owners, pest control is a major issue that needs to be maintained and, unfortunately, never goes away. From making sure your business isn’t contaminated by bed bugs or insects, to making sure pest birds aren’t turning your buildings into homes, it can be a full-time job keeping them under control. Something many owners may not think about, though, are the negative impacts birds may have on their guests and their infrastructure. If you’d like to learn more about why it’s important to keep animals like starlings and pigeons away from your hotel and guests, keep reading! When it comes to pests and hotels, it’s important to maintain good customer service. If pests like birds or bugs are harassing your customers, it may be time to call in an exterminator. You don’t want to risk good reviews by having a dirty hotel. Or by letting your guests be pushed around by vermin who think the hotel may be a good roosting place. Sometimes the unseen damage a pest can wreak on a building can be the downfall of a five-star hotel. Birds make nests in the strangest places. If you notice your gutters are clogging, you may have starling nests in your drainage systems. Clogged gutters can lead to standing water which may lead to further insect problems. If your shingles are crumbling at faster rates, pigeons may be damaging them. Birds can easily dislodge tiles and shingles, removing the insulation beneath for their nests. Bird poop is also extremely damaging for paint and mortar. It can also lead to treacherous walkways for guests. Birds are known to carry and transmit hundreds of diseases. A high contamination rate can lead to illness and even water contamination. If you’re noticing flocks of birds surrounding your hotel and property, it may be time to call in an exterminator. Flocks of birds can do a lot more than just damage your buildings. Pest birds may become aggressive if they are not contained. They will protect their nests and babies no matter what. If you do not contain them, they may turn your hotel into a permanent roost. Which, of course, can lead to negative human-bird interactions. 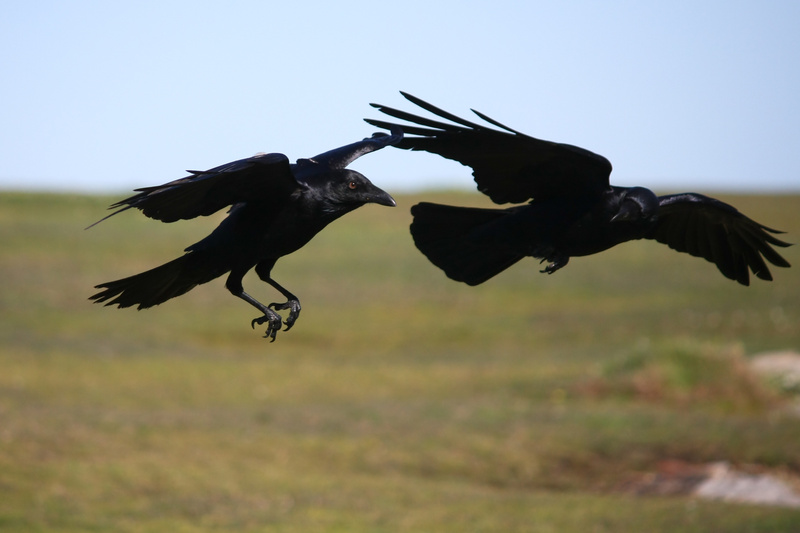 Birds are known to dive bomb people walking near their nests or homes. Situations like this can grow out of hand, endangering your staff and your guest’s lives. Removing pest birds from your property may seem like a daunting task. But like most things, maintaining a consistent presence will keep birds at bay and keep your guests happy. Thankfully there are humane ways to keep birds away from your hotel. Fright Kites are an effective means of scaring birds away from your land. They will not harm any birds that come close. They appear like birds of prey to starlings and pigeons. If you’d like to learn more about this humane extermination method, click here. Got some starlings driving you nuts? While the European starling is a beautiful bird, they can easily become pests. Since they have a tendency to flock in large numbers, they can easily cause damage to your property. Do you need some help with how to get rid of starlings? Check out the list below. If starlings are hanging around, there are likely a few food sources nearby. If you have things like fruit bearing trees or shrubs, you should either remove these or cover them up with netting. Also, be sure to remove any outdoor pet food or compost heaps, as this could also attract flocks of starlings. Are you suffering from an European starling invasion? Well, starlings love to roost in trees. Prune your trees to make the branches less dense. This will discourage flocks of starlings from gathering, as they will feel more exposed and less comfortable. This strategy is more effective on large flocks of starlings. If you’re only dealing with a small number of birds, you might want to try a different strategy. You can make an area significantly less attractive to starlings by restricting the areas they might be able to make nests in. Starlings need an entrance hole of around 1.5 inches in diameter. You should search for any nooks and crannies where a starling might be able to use as a nest and fill in the opening. Installing an electrified track is a great way to encourage starlings to move on. The track is laid along surfaces the starlings are likely to land on. The track will administer a light electric shock on contact. The shock is not strong enough that it is dangerous to the birds. But it’s enough for them to remember it and stay away. Another great deterrent method is a FrightKite. FrightKites are kites made to resemble birds of prey. To starlings, these kites are indistinguishable from the real thing. If you’re looking for a humane and effective way to control your starling problem, consider ordering a FrightKite. These kites have been used effectively in a variety of settings. Repelling starlings with sound is often quite effective. You could try playing recordings of predator birds. It doesn’t always need to be this sophisticated. Any loud noise should be enough to scare starlings away. If you have tried every other method, but still have starlings around, you might need to consider a more extreme option. Compared with other options, setting up traps is a time-consuming process. Also, know that traps are not a viable solution on their own. If you remove starlings via traps, you have not eliminated the conditions that attracted them in the first place. Therefore, traps should only be used in combination with other deterrent methods. Want to know more about how to get rid of starlings using FrightKites? Check out our product page! You scan your oil refinery with pride. But seemingly out of nowhere, you spot something in the sky. All of a sudden, you feel like you could cry. Because that thing in the sky is an annoying pigeon. Small pigeons may seem harmless enough. But the truth is that these common North American birds can cause your oil refinery a slew of problems. For instance, they can hurt your business’s image. On top of this, their droppings may contain ectoparasites, bacteria and fungal agents that can pose health issues. 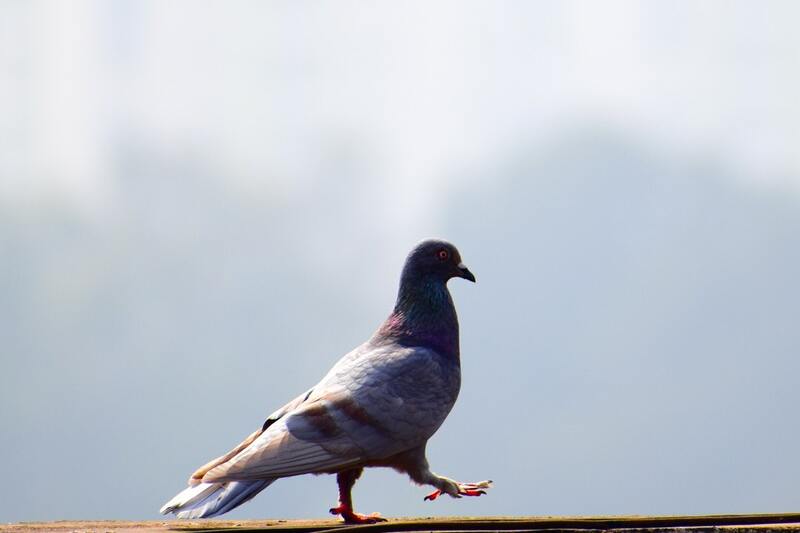 Pigeons’ droppings can also create dangerous surfaces leading to slip-and-fall accidents. 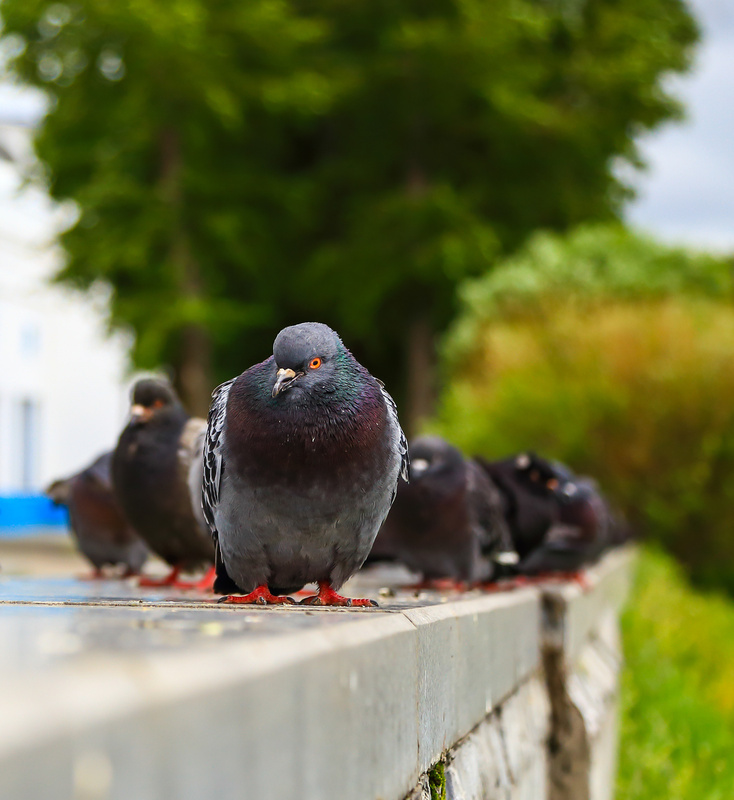 If you’re experiencing pigeon problems at your premises, it’s time to take action. Here’s how you can overcome your pigeon issues this fall. First and foremost, get rid of any food sources on your oil refinery premises that may attract these unwanted pest birds. For instance, clean up bird seeds and grains that might make your premises a convenient place for pigeons to roost. Also, secure trash cans as well as other waste sources. In addition to eliminating food sources, get rid of water sources that may lure pigeons to your oil refinery. Even just a tiny quantity of standing water may support a population of obnoxious birds. If your property lacks water, pigeons will be less likely to choose it over another one that has water readily available. If you spot pigeon nests around your property, destroy them. You can simply do this by using a rake or even a tree branch. If you do this every couple of weeks or so, this will keep pigeon eggs from hatching. The pigeons will eventually realize what’s going on and will take off to a safer area. Another way you can finally bid adieu to those pesky pigeons for good is with our unique products, known as Falcon FrightKites. These self-launching products can silently patrol the sky over your oil refinery. They soar high so that pigeons can easily see them even from a long distance. Once pigeons spot your FrightKite, they’ll fly away in terror. So, why exactly are our products so powerful? Because they essentially work on your pigeons’ inherent fear of birds of prey. Pigeons are actually less fearful of you than they are of being attacked from above. After all, if they spot you on the ground, they can simply fly away. However, if they see a prey bird in the air, they can still be attacked right away. With our products, you can finally eradicate your pigeon issue and focus on what you really care about most: keeping your oil refinery operating smoothly from one day to the next. Get in touch with us to find out more about how our products can help you to finally beat your pigeon problems. With our help, you can consistently keep your property free of these pests in the months and years ahead. There are over 50 species of seagulls all over the world. All these species prefer to live in colonies. Unfortunately, because they live in colonies, once they become attracted to certain areas or landfills you may find the place becomes overrun with them. This can make them pesky. 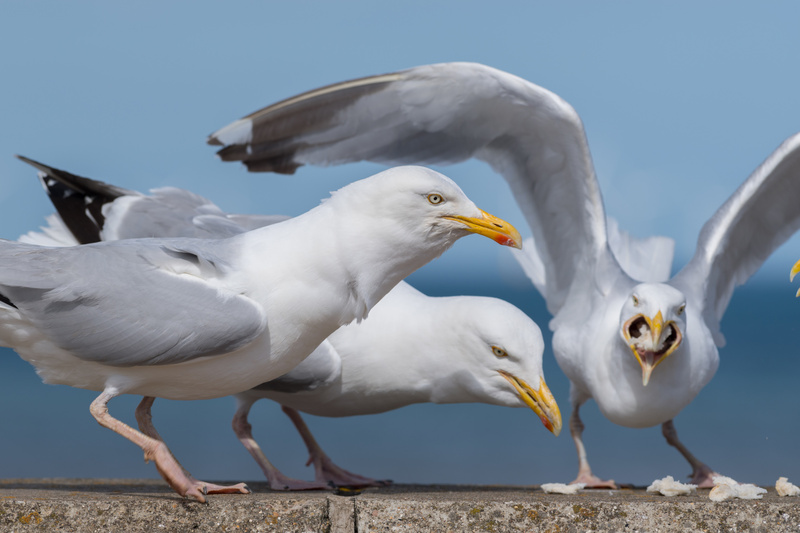 If you would like to find out how to get rid of seagulls, once they start becoming a pest, here are a few tips which will show you how. Read on to learn more! You can employ the services of a falconer if you want to rid a landfill of seagulls. A falconer will deploy a falcon to the site to scare off the birds. Sometimes, the falconer may also use a hawk to help scare off the seagulls. If you can’t employ a real falcon then you can purchase a frightkite which is a replica of a falcon. This will also work to scare off seagulls. Falcons and hawks are predatory birds which will attack and attempt to eat seagulls. The gulls know this and scatter when they are around. But, this method requires a bit of tending. This means you will have to keep bringing in the real Falcons or flying your falcon kite from time to time or the seagulls will come back. The use of what is known as “terror eyes” is one way to keep pesky seagulls away from landfills. Get brightly colored owl faces painted on masks. You can also get them painted on balloons. Another thing you can try is wooden owls and fake coyotes. While you may have to put up with having these fake animals around at least you will scare the birds off. There are several things which can irritate seagulls. These include noises, lights, and smells. Using one or a combination is usually effective at scaring them off. There are amplifiers and canons you can use to scare them off as well. 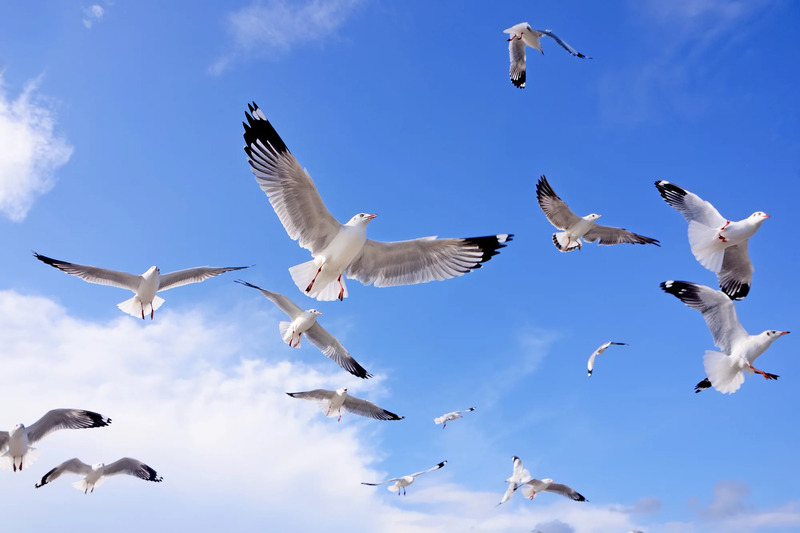 You can fool the pesky seagulls by playing sounds from animals which prey on them. Strobe lights have also been known to be effective at deterring these birds. The strobe lights flash at intervals creating confusion. You can buy repellant. The best ones are usually made of a sticky substance that tastes or smells bad. Put this in areas where the birds like to feed. Set up objects that spin in the wind to scare off seagulls. Buy mechanical devices that have a spider shape and rotate. You can also buy propellers and erect them all over your landfill to get rid of the gulls. The spinning of the propellers is what scares them off. Knowing how to get rid of seagulls is a necessity when they regularly flock to your landfill. Fortunately, there are many ways you can get rid of them. You can deploy falcons whether real or fake to stop them from flocking to your landfill. You can also irritate them with lights, sounds, and bad smells. You can even try to trick them by using owl shaped objects and other fake animals of prey. Mechanical devices that spin are also another way you can try to rid a landfill of these birds. If you would like more help with getting rid of pesky seagulls then please visit our blog, we have articles which will give you excellent advice. 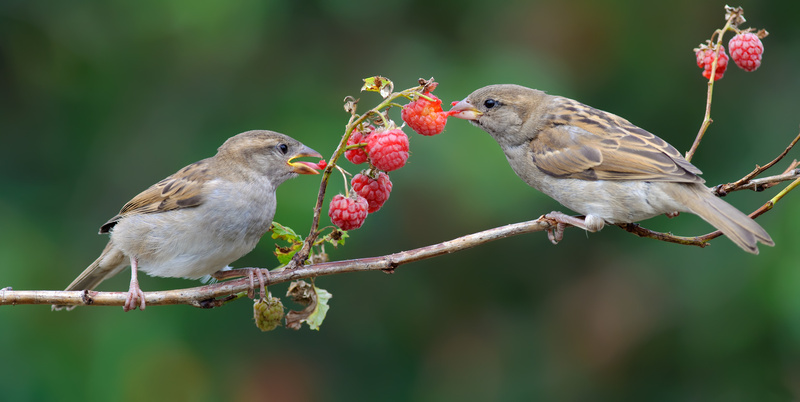 Fruit eating birds can cause serious damage to your crops. If left uncontrolled, they’ll eat their way through your orchard before you get a chance to pick a single fruit. You can choose from a number of different strategies in attempts to keep the birds away from your crop, but they all come with unavoidable disadvantages. That is, all of them except for Falcon FrightKites. Below, we’ve broken down some common pest control options and why Falcon FrightKites are a better option. This method can be expensive, but it takes a lot of work and a lot of money to pull off properly. It involves covering your trees or vines with bird netting. You drape this netting over the plants and secure it to the ground at the bottom so the birds can’t get to the fruit. While this might sound good, it takes a lot of work to set up. If the netting is up against the fruit, the birds can eat the fruit through the netting. Because of this, you might have to build individual frames around each plant. If you have a lot of time and money to spend on bird netting, this can be a good option. But it’s not an effective choice for trees and vines that are still doing a lot of growing. Putting a number of small windmills throughout your orchard can scare off the birds. The spinning blades catch the light and give the appearance of a flock of birds suddenly taking flight. In order for this method to work, you have to move the windmills to different parts of your orchard every few days. If you don’t move them, the birds will get used to them and eat the fruit anyway. Spending all the time moving them can turn into a hassle. You can broadcast predator sounds or bird distress sounds in your orchard to scare birds away. You can either go one step further and set up decoys of their natural predators, such as owls. The problem is you can’t play these sounds continuously or the birds will learn not to be afraid of them. On top of that, you have to move them around your crop to keep the birds afraid. Some people believe giving the birds a different food source will keep them from getting into the orchard. You can put other food, like corn or bird seed, in your yard. But this doesn’t always work. Just because the birds have more food doesn’t guarantee they’ll stay out of your fruit. What Makes Falcon FrightKites More Effective for Fruit eating Birds? Falcon FrightKites work better than these other bird control options. They’re a lot easier to set up and they’re a lot cheaper too. We design our FrightKites to look similar to normal falcons. Because of their color, wings, tail, feet, eyes, and overall shape, birds can’t tell the difference between falcons and the kites. A FrightKite can glide, hover, dive, and climb in randomized paths that make it look like they’re hunting. When birds see a FrightKite, they’ll turn around right away and fly somewhere else. FrightKites are also less expensive than netting and less labor intensive than windmills or broadcastings. Once you set up your FrightKite, it will launch and fly around your crop on its own. In fact, our studies show that FrightKites have a 95-100% success rate for any orchard. Are you interested in buying your own FrightKite to scare away fruit eating birds? Click here to see some of our options. Everyone knows the noisy laugh of the seagull. We’ve all seen them hovering above crowds on the boardwalk, searching for their next meal. But seagulls don’t just steal food from beach vacationers. They threaten human safety and can even transmit diseases. For business owners, however, they pose a unique threat. Hungry gulls can cause serious damage to vineyards, farms and other industries. Keep reading to learn about the main problems with seagulls and ways to get rid of these pesky birds. While there are different types of gulls, what unites them is their ability to learn quickly and adapt to new environments. Seagulls will eat just about anything, including garbage. This is a problem for businesses whose crops are at risk. Removing sites where birds can feed, rest, or create a nest may discourage them from certain areas. If possible, you can also try to limit mowing fields and lawns. Tall grass is a known seagull deterrent. Because gulls can be quite aggressive and unhygienic, it’s important to find a way to scare them off. Various methods exist for frightening seagulls. They range in cost and proven effectiveness. A new strategy to scare away gulls involves dogs. Sheepdogs have been proven to chase off the birds and reduce their population numbers. They’re best employed at peak hours when the seagulls are most active. There are different electronic gadgets you can purchase that make loud noises, alarming and confusing gulls. These include amplifiers that imitate the calls of other predatory birds. Some businesses and individuals have tried seagull scarers for roofs and buildings such as wire or polyurethane netting. Every method has its advantages and limitations. The problem with many is that they’re only short-term fixes. The most effective and long-lasting seagull scarer on the market is the Falcon FrightKite. 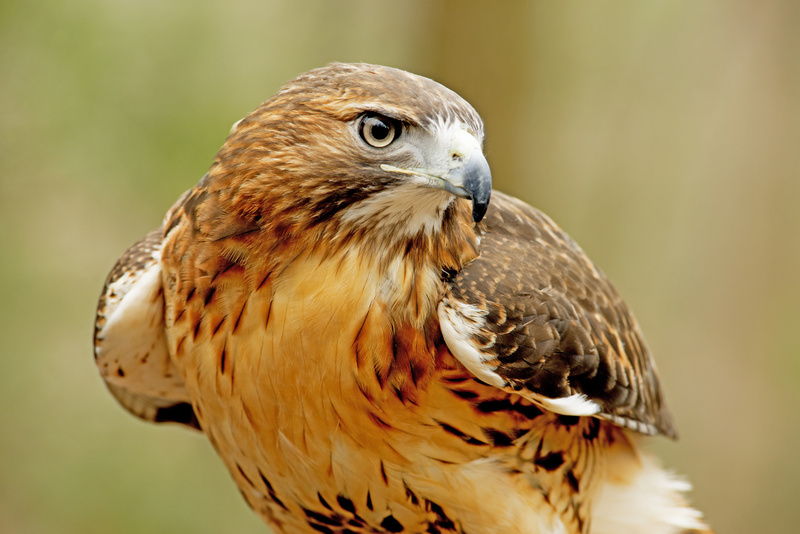 Falconry is a go-to for pest control, but using real birds can be expensive. Using a FrightKite has a similar impact while remaining cost-effective. Businesses have already experienced the benefits of this method. The kite is constructed with sturdy material that can withstand high winds. It’s also designed to prevent damage from sun damage and deterioration. When you use the kite, seagulls are scared off by the sight of a predator and will leave your crops alone. It’s also a way to repel gulls without harming them or removing their nests. When it comes to seagulls, preventative measures are important. But, to see real results eliminating your problems with seagulls, you also need a method that’s proven to work. The Falcon FrightKite takes the main problems with these pests into consideration. On top of being effective, it will cost you a fraction of the price of other methods. To purchase a FrightKite, visit here. There are somewhere around a dozen birds of prey common in the United States, each existing as an alpha predator among 10,000 species of bird. One such is the falcon. Falcons are helpful to farmers looking for pest control solutions to protect their vineyards from menacing birds. With this guide, you’ll learn three farming facts that will make you think about falcons for pest control. We’ve entered into a consumer age where people are concerned about the ethics of what they eat and drink. In fact, Millennial shoppers may be more concerned about corporate ethics than previous generations. Today’s shoppers want their fruits and veggies to be as clean from harmful chemicals and pesticides as possible. And that means they are eyeballing what goes into their wine too. Using falconry, farmers can reduce the number of chemicals their grapes are exposed to. These five birds are among the main avian pests that fruit farmers deal with. Companies that specialize in falconry can bring in experts that will use trained falcons to purge the vineyard of pesky birds. But this service doesn’t come cheap, as we will describe below. When experts bring trained falcons to your vineyard to ward off smaller birds, like starlings, this usually occurs just before the crop is ready to harvest. The reason being is because the birds will return once the falcons are gone, and to repeat this process can be costly. 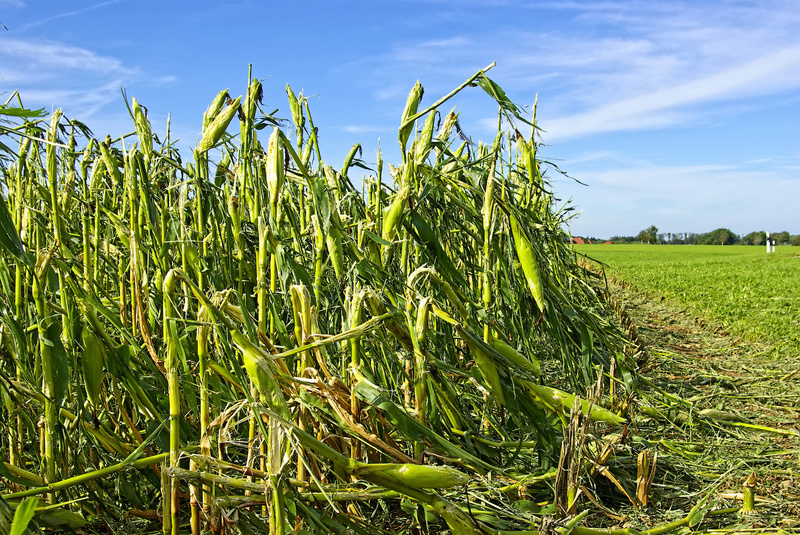 It’s estimated that bird damage to crops costs farmers $4.3 million per year. When you look at the big picture, throwing tens of thousands into pest control solutions may not seem like a lot. But to farmers who have hefty operating expenses already, it can be difficult to justify the cost of falconry as a means of pest control. In most cases, hiring a falconer for bird abatement can cost up to $1,000 per day. For this reason, many farmers who choose to use falcons to ward off pests wait until the end of their crop cycle to bring in the birds for a couple of days. For those farmers who want natural protection for their crops and aren’t interested in stretching their operational budget, there’s another way. Falcon FrightKites are a handy method of natural pest control that works similarly to releasing a real trained falcon for a fraction of the cost. A FrightKite is it’s a tool to ward off smaller birds that fear being eaten by a predator. Birds will follow their biological impulse to flee in the face of danger when they see a FrightKite, and leave the vineyard to be harvested. The effect a FrightKite can have on your vineyard is profound, and it doesn’t cost $1,000 a day like using falcons for pest control. With prices starting at under $300 for your reusable FrightKite set, you can’t afford to miss out on this option. To get your Falcon FrightKite, click here.